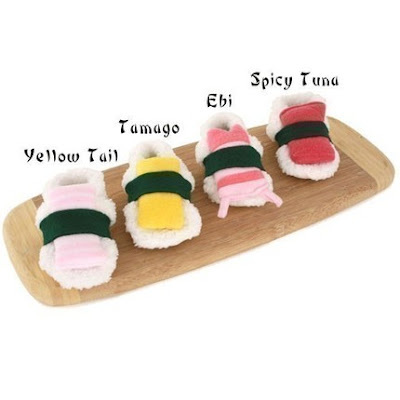 Two of my favourite things combined into one: sushi and slippers (which technically fall in the category of "shoes"). 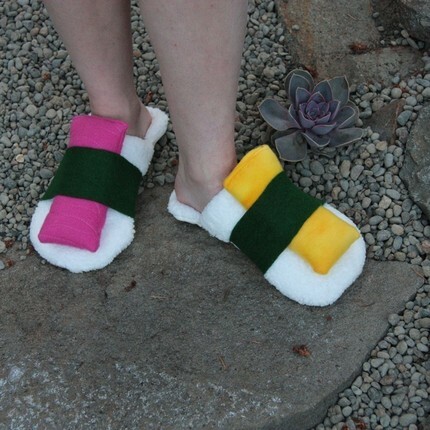 The Etsy seller Sushi Booties peddles only two wares -- baby sushi booties and adult sushi slippers -- but they're good ones. Comes in four styles, perfect for girls who like a little bit of kawaiiii in their lives.